Extracon offers a complete set of Challenge Programs to engage participants and improve the most important dimensions of health. Our walking challenges are a great way to help participants start moving their bodies. You already know how pedometer programs can boost walking - now find out how our social features can keep them engaged! 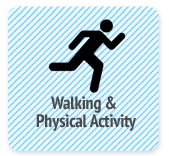 Our activity challenges motivate participants to reach the 150 minutes of weekly activity they need for good health. A dose of friendly competition and a wide range of trackable activities will have them moving every day! Team Weight Loss Challenges build a support group for each participant as teams lose weight together. A spark of friendly competition and careful design to ensure privacy completes this great Challenge. The Maintain-Don't-Gain Challenge is great to run during the Holidays or as a follow-on to a weight loss challenge. 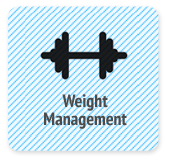 Participants learn and practice the skills to gain control of their weight for the long term. Participants earn points for each 1% of bodyweight they lose, and also earn points for the fruits & veggies they eat and the glasses of water they drink. 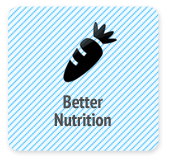 Combining nutrition with weight results in a great program that's about more than just a number on a scale. The More Matters Fruits & Veggies Challenge will have your participants filling their plates with great nutrition. As an added bonus, all those fruits & veggies on the plate tend to crowd out the empty calories and junk foods. The Healthy Hydration Challenge asks your participants to drink more water and less sugar-sweetened beverages. With typical Americans drinking 450 calories per day, this is one of the best targets for improvement! The Sleep Habits Challenge asks your participants learn and practice the 6 Key Habits for better sleep. These research-based habits will help your participants get high-quality sleep at night so they can be productive during the day. 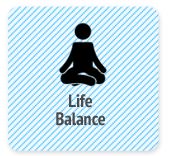 The Stress & Resilience Challenge will have your participants taking an active approach to stress management using meditation, yoga, guided visualizations, and other techniques on a daily basis.